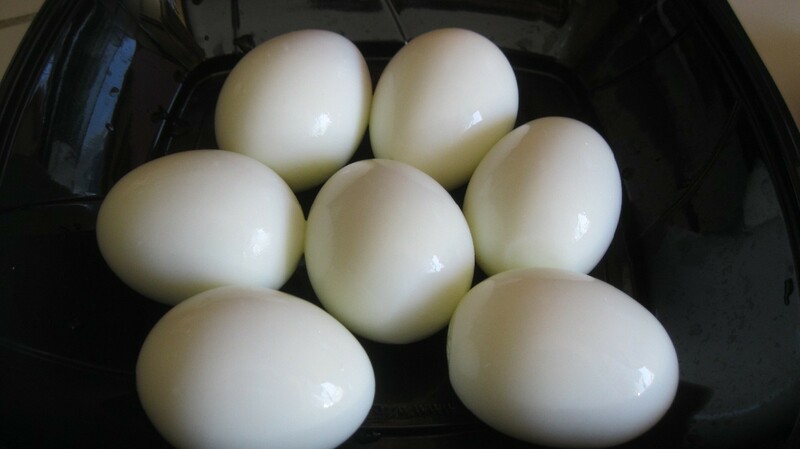 I always struggle to peel the shells off my hard-boiled eggs. I've tried so many tips. I recently saw a video of someone trying this trick. I thought it was a hoax but tried it any way. It works! Here's what you do: Once you have boiled your eggs, take a smallish jar that an egg can fit into. (Alternatively, I also saw one guy use a drinking glass and put his hand over the top). Add about an inch of water. Plop in the egg. Put the lid on. 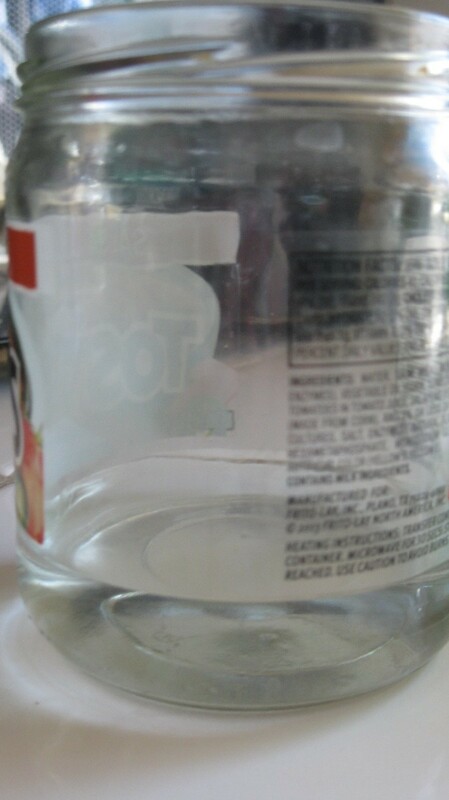 Shake your jar about 20 times, pretty hard. You may want to do this over the sink, in case the jar leaks water. Take off the lid and the peel will be barely hanging on. Just slip it off. It doesn't even take any of the egg white with it. My eggs were perfect for Deviled Eggs. Source: I can't find the video I saw. Sorry! Very interesting, I will have to try this! 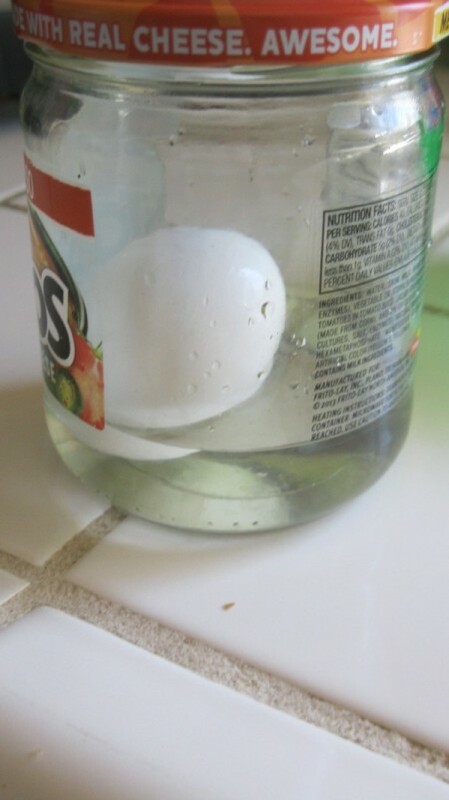 I think I have an even easier way to peel hard-boiled eggs. Upon removal of the cooking pan from the stovetop after eggs are cooked I put it in the sink and run cold water on it. Then take each egg out individually and rap it all over against the sink side - to crack all the shell. 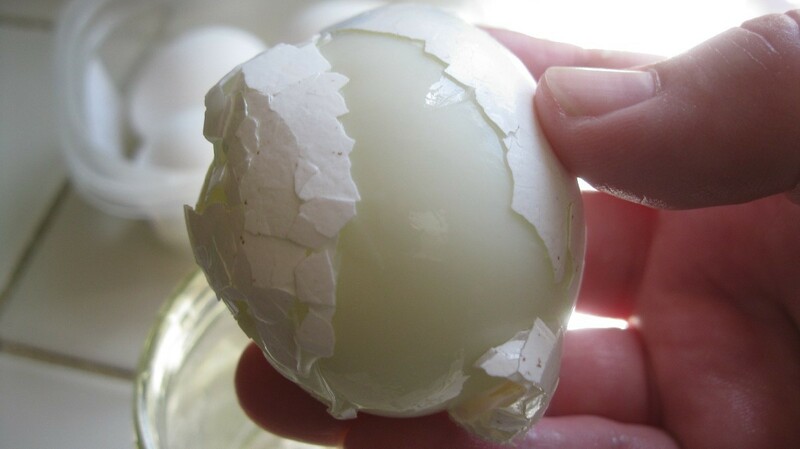 This will enable water to penetrate between the shell and the egg white, and loosens the shell. Place eggs back in the water until completely cooled. Then roll the egg between your palms - sometime the entire shell just falls away. Peel under small stream of faucet water to whisk away the pieces. The rest of the time the shells peel off perfectly. I saw this hint online months ago, can't remember where. My Dad just showed me this trick and it works. Also, the older the egg the easier it is to peel.